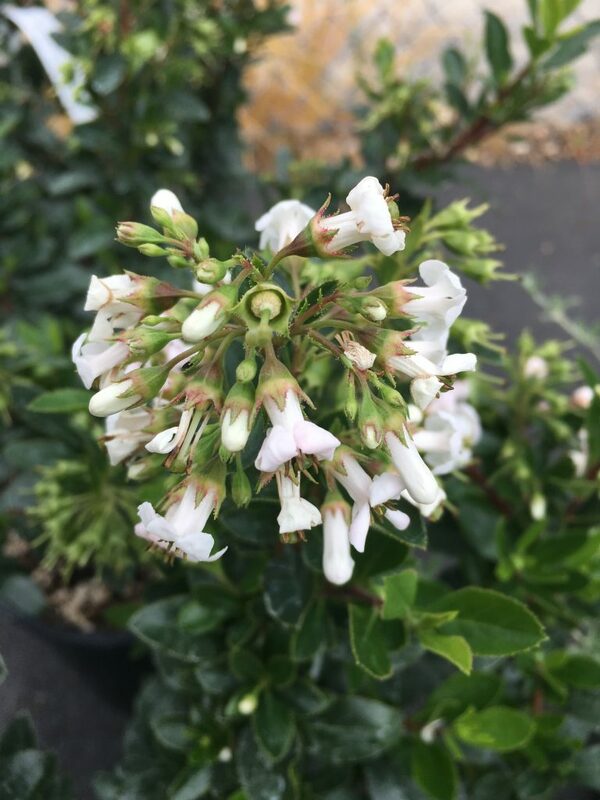 Useful, tough and good looking evergreen shrub that has glossy deep green foliage and masses of small tubular white flowers for months beginning in June. To 5′ x 5′ in 12 years for virtually any well drained soil, including clay. Excellent cold hardiness and totally summer drought tolerant. No water necessary. Hedges, specimens, holding plant for rough areas. Takes any amount of pruning. Excellent performance at the Oregon Coast. Chile.